Coming out of the dark and forged from the most aggressive images that normally stay in a designer’s personal collection. Evil eye evo is a weapon which will create brand heat and consumer desire. Made for the most extreme sporting applications and packed with technology evolved from over 13 years of experience creating the best performance sunwear out there. Full of personality, razor sharp vision, and a precise fit makes the Evil Eye Evo unmatched, and second to none. With its revolutionary sculpted frame and red fire lenses, the new evil eye evo by adidas eyewear is built for gravity-defying moves from the most aggressive of riders. A larger lens size is combined with an extreme lens curvature, for unbelievable visual freedom. The evil eye evo has evolved to provide razor-sharp clear visibility with a wider field of vision, ensuring a precise and secure fit for the roughest of rides. Whether out on the hills or in the streets, the evil eye evo is your weapon of choice. Clear sight is crucial for riding. Vision can be compromised by head-and-body position, as well as weather and light conditions. 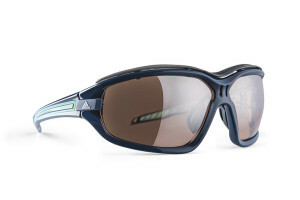 The evil eye evo offers a huge field of vision and delivers excellent protection from sun glare and wind, thanks to its extreme wrap-around design. 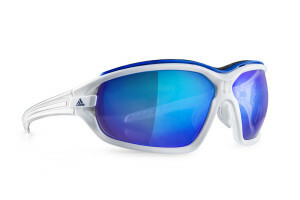 The unique dynamic shape creates more air volume behind the lenses, which combined with the air circulation created by the climacool® ventilation, reduces fogging and maintains clear vision in the toughest conditions. 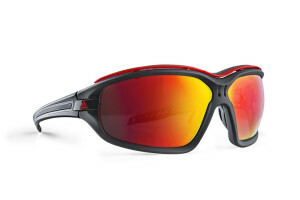 In addition, the lenses repel water, dust, and dirt, thanks to hydrophobic technology. At high speed and in rough terrain, a perfect fit is crucial for safe riding, which is why two sizes are available. Additionally, there are multiple ways to customize the fit. The new Four-Position Nose Bridge™ and the 3 positions of the adjustable temples allow the wearer to create the perfect fit. The detachable sweat bar keeps sweat and wind away from the eyes, making the evil eye evo the only choice, for the most challenging rides. The adidas Group is a global leader in the sporting goods industry, offering a broad portfolio of footwear, apparel and hardware for sport and lifestyle around the core brands adidas, Reebok, TaylorMade, Rockport and Reebok-CCM Hockey. Headquartered in Herzogenaurach, Germany, the adidas Group employs more than 50,000 people across the globe and generated sales of € 14.5 billion in 2013.